Heat a large pan to medium hot. Take half the shrooms and de stem. Break stems with fingers and throw the lot into the hot pan with olive oil, salt and pepper. Slice the parsley including most of the stems. Add 3/4 to the pan. Crush garlic and add to pan. Take half the remaining shrooms and cut into quarters, add to pan. Dice the remaining shrooms and add to pan. Add more olive oil if needed. Add rosemary and bay leaf. Cook until brown and shrooms release juices then turn up heat. When the pan is hotter, add white wine, let bubble then add veg stock. Reduce heat and add passata. Taste juices and add seasoning as needed. Cook down for about 15 mins or as desired, add more veg stock if the liquid reduces too much. Add remaining parsley as garnish. Add crisp bacon chips as desired. Add toasted pine nuts & pecorino to the top. Breaking down perceived conceptions about dining, Master is a Chinese restaurant. Watch the video on their website, breaking down the walls and they are breaking dining ideals in the restaurant. It is a clean grungy space with magnificent food and wine, hip urban beats jam the airwaves, spice and flavour run rampant. The menu is made from many small share dishes. Many restaurant do this now, just like the original neighbourhood Chinese restaurant. 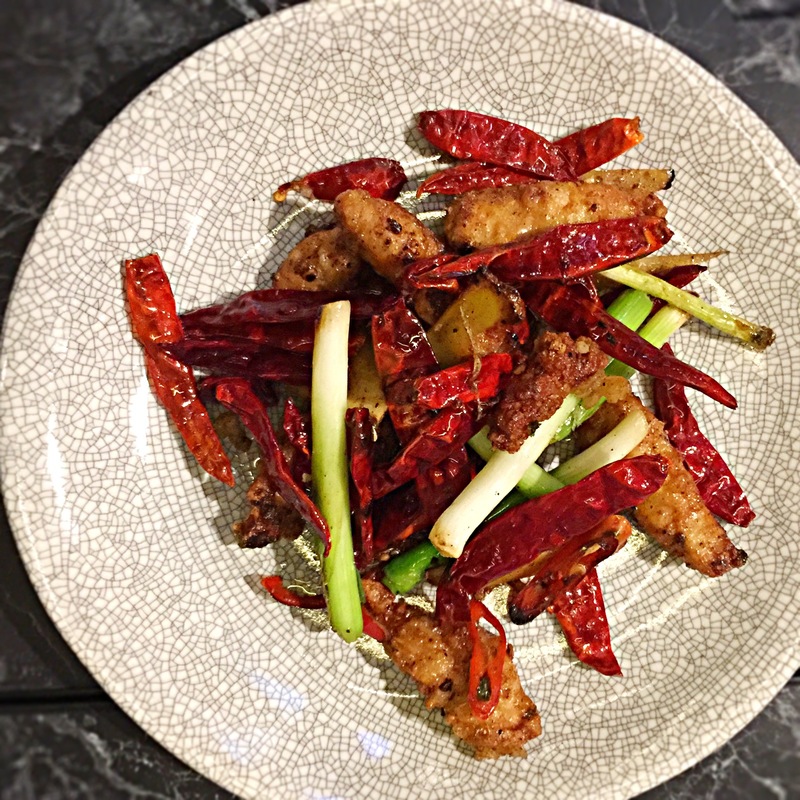 The menu at Master has traditional elements but is serving modern Chinese food. 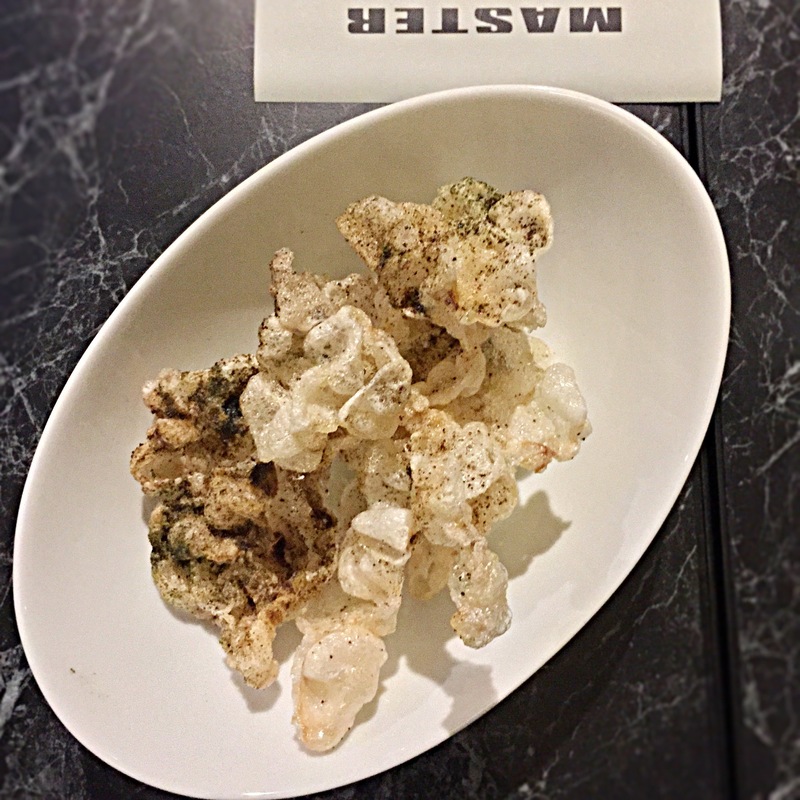 Puffed Beef Tendon with Haidai Salt is a light crispy number. 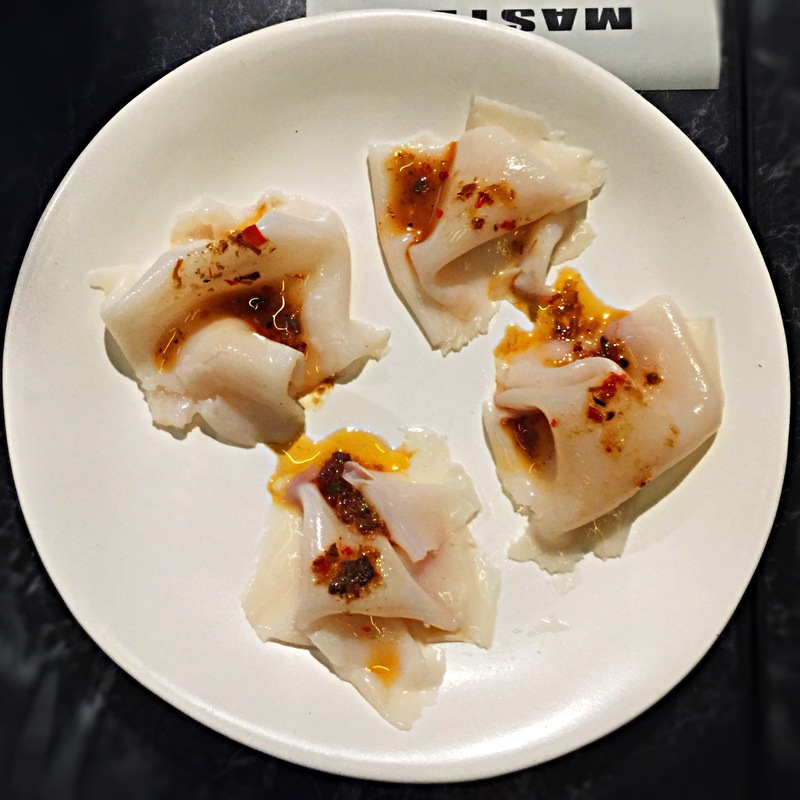 A fun play on the most old school Chinese restaurant snack, the prawn cracker. 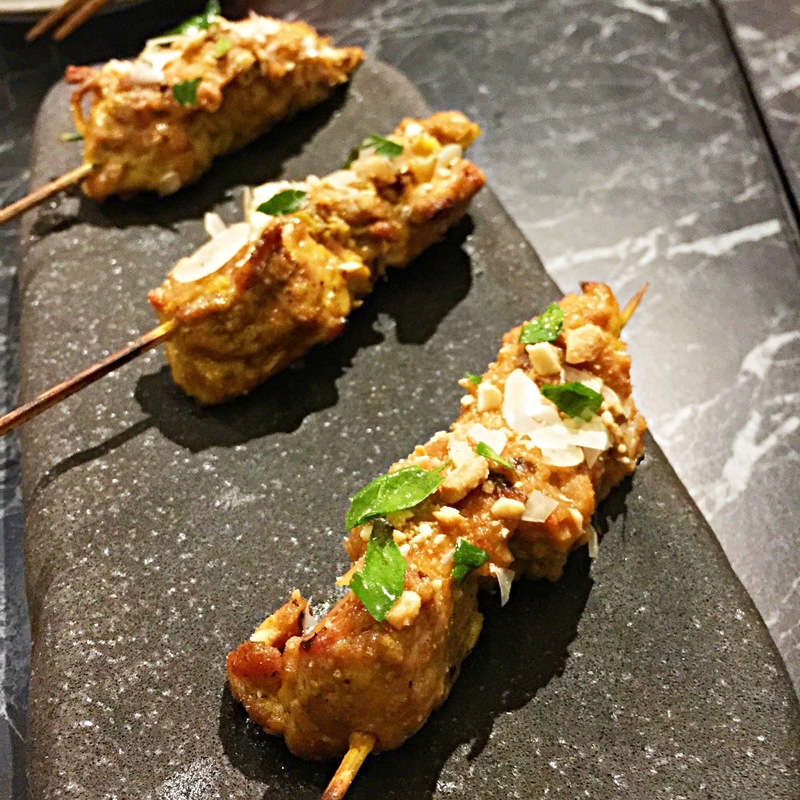 Chicken skewers loaded with flavour and covered in nuts is a simple and delicious starter. Scallops silks confused us to what they actually are, perhaps noodles made from scallop somehow, with XO, light and refreshing, a perfect vehicle to get saliva moving. When you see Noma, Quay and Momofuku Seiobo on a resume of chef John Javier expectations run ripe. I did not know any of this of course, I’d seen photos of the food from Master on social media and managed to score a table before the word gets out in a big way. I anticipate it will be much harder to get a table soon. I love Instagram for finding hot new restaurants, just follow the right people. Eggplants that is fried crisp, sweet and salty, this is not a brand new sensation, it is just delicious. I wonder if legislation will extend to amount of chilli served on a plate soon! If Sydney wants to truly be a considered an international city this legislation must stop and restaurants need to be prepared to stay open later. Too many times I’ve been turned away from a restaurant after 10 pm leaving me only with fast food options. The buttery burnt cabbage is gloriously rich. 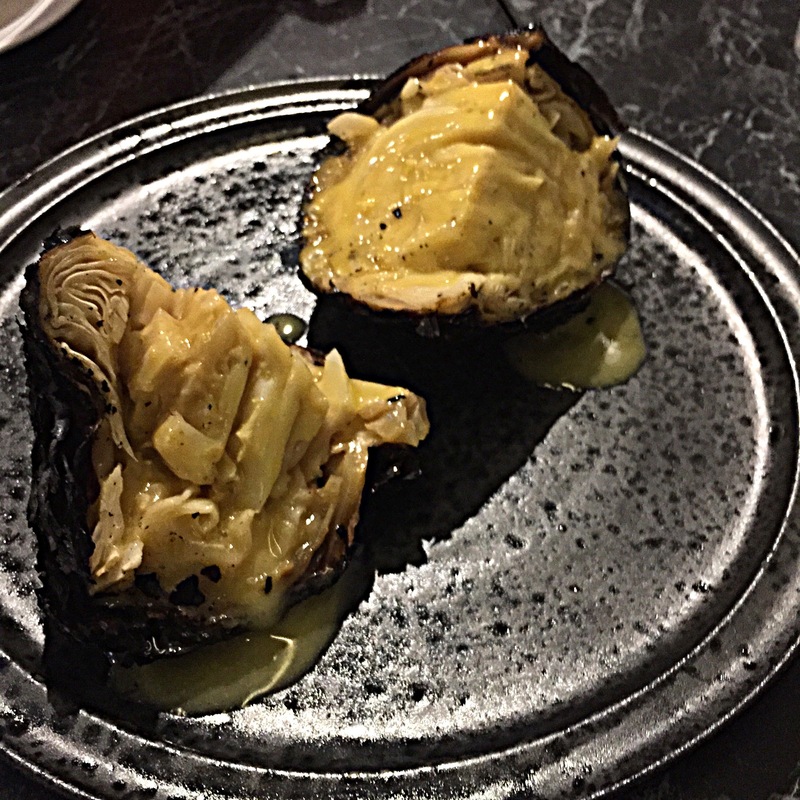 It is charred black on the outside with fish butter, the soft juicy cabbage takes some slurping when eaten. 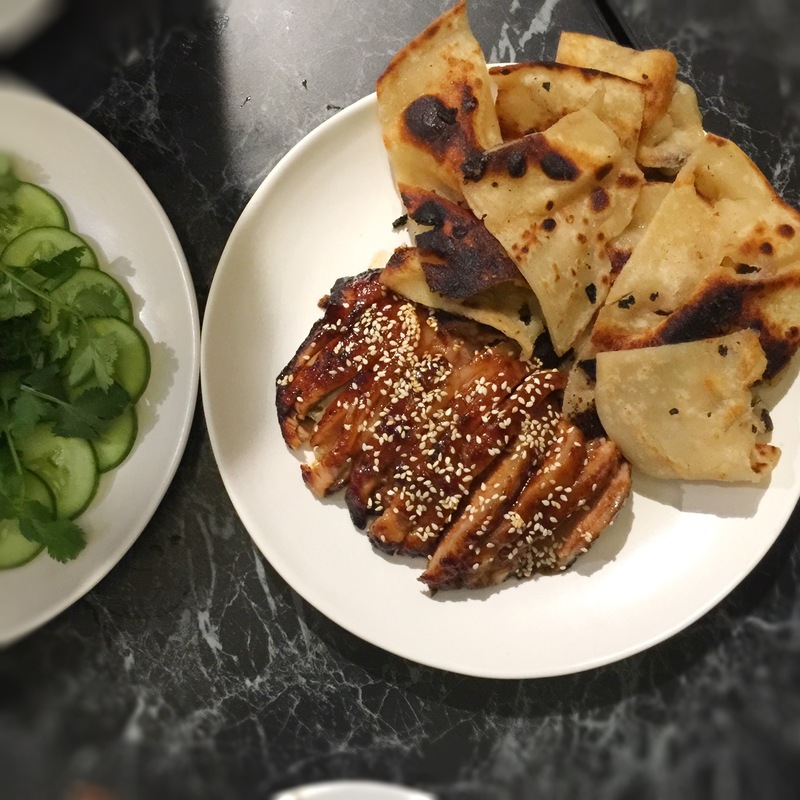 We then had smoked pork jowl with Peking pancakes. All tradition is abandoned as the pancake is large, texture as if the love child of naan and roti. The jowl with a section of fat that keeps the meat gloriously juicy, delicious smoky strips of pork and it is fun eating with your hands. And you’ll need those hands if you tackle the crab. 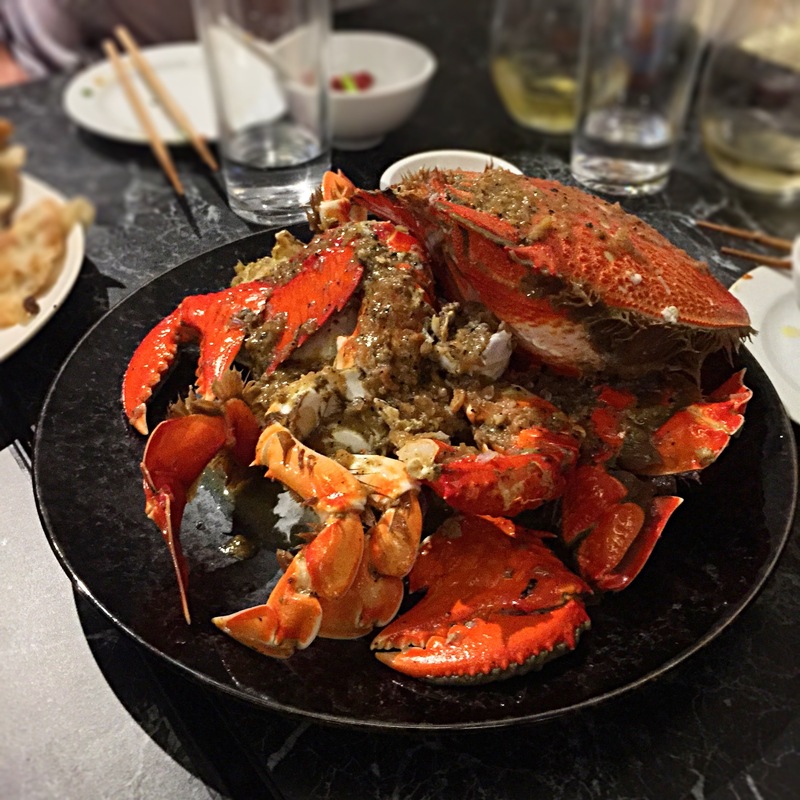 It was spanner crab on our visit, I have also seen images of mud crab from Master’s Instagram account. So much moist sweet crab flesh dripping in sauce which we devoured in an instant. What Chinese feast would be complete without a festival of crustacean and this was the Burning Man of a Chinese meal. The deserts are divine. 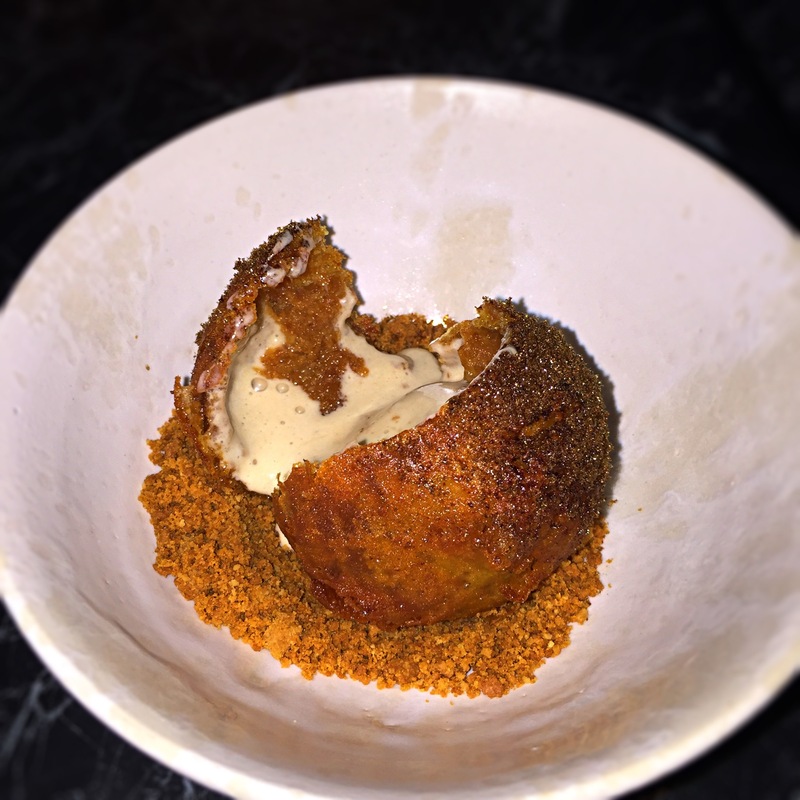 The potato flour dust on the deep fried ice cream is light and sweet, the shell to the ice cream firm and crisp. Immaculate. 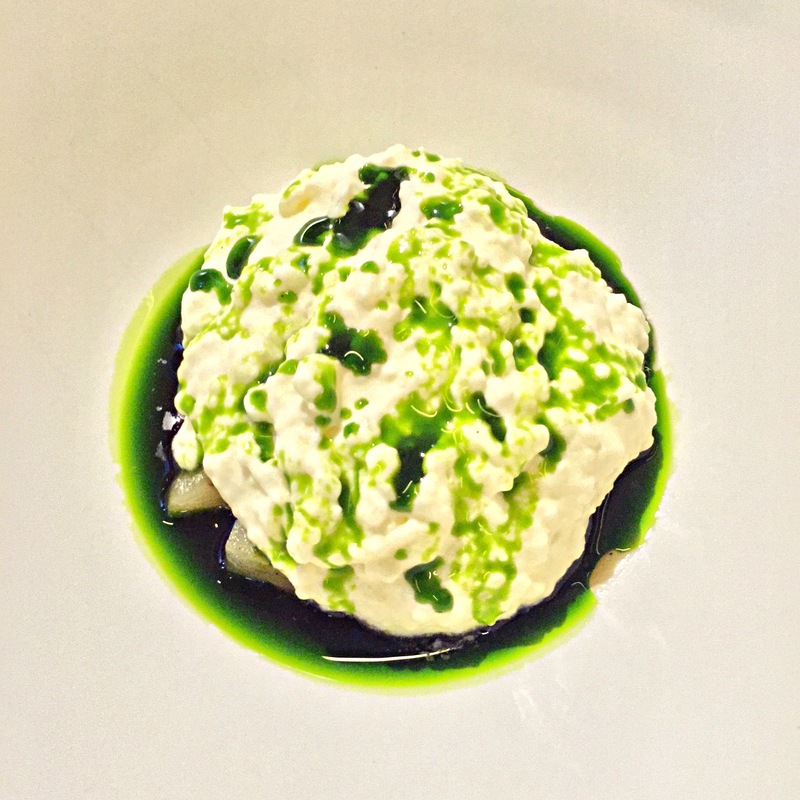 This is the best version of this dish I have ever tasted. Deep fried ice cream is the most famous Chinese desert in Australia and done here nothing like my childhood memories. Congee, pear and coriander is the other dessert, the bright green is spectacular. My body tries to deny me carbs this late at night but the fresh flavours here won the fight. I could eat this for breakfast any day. There is still so much left on the menu for me to try and I will be back, I’d just better be quick, before word gets out and I can’t get in. I think I’ve got this right right. If you try to make this please let me know what you think. 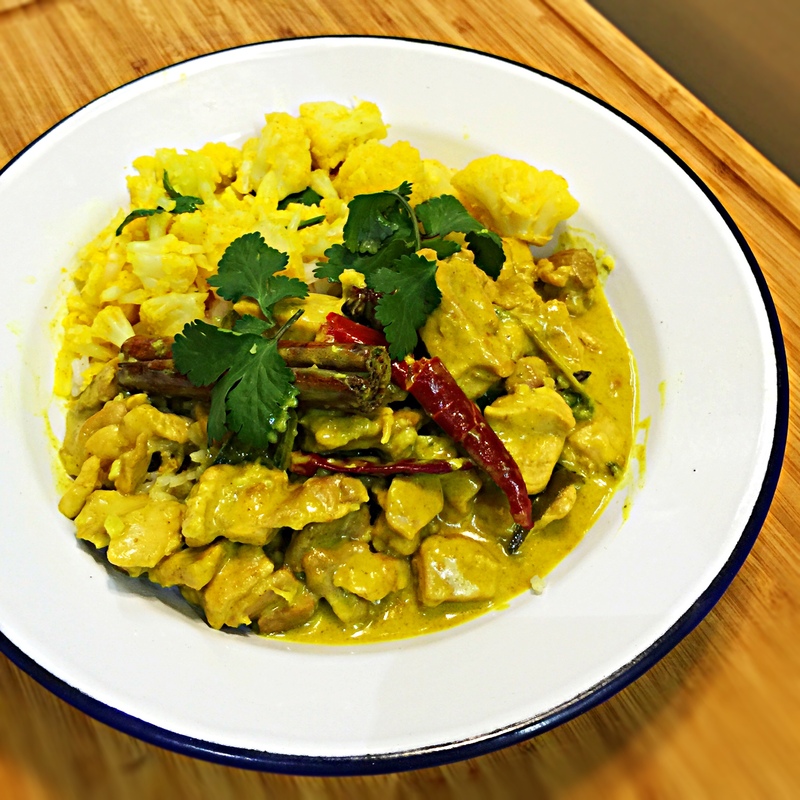 This recipe was born out of flavours I put in my dhal, then one day I wanted to make a curry with coconut milk again. I can not make green curries because they will NEVER compare to Sujet Saenkham ‘s so i no longer try, i just buy them at his restaurants for my fix. Dice chicken thighs. Set aside. 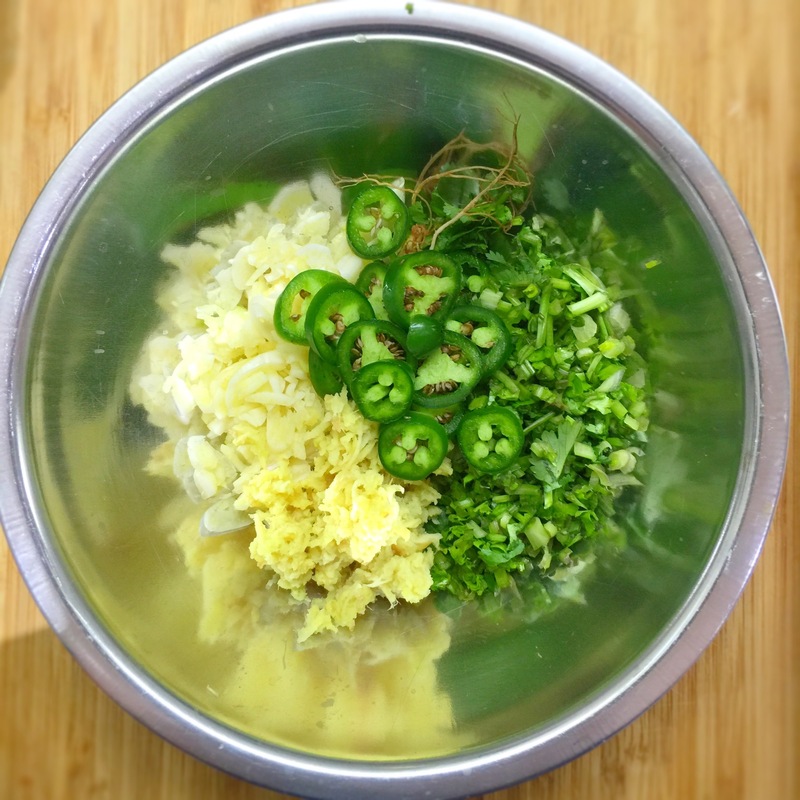 Mince garlic, grate ginger and chop coriander stems. Set aside. Heat pan to hot, add sesame oil . Brown chicken. Add Herbs, turn over. Add coconut cream. Stir through. Several dashes of fish sauce. Serve with rice and salad of cucumber, coriander leaves and tomato. Tip: I soak my cardamom pods in 60ml boiling water and then pestle and mortar, I separate and discard the husks. I add the water and seeds to the curry. Ok, lets get this straight, I love this joint. The food is great, its economical and it is easy for me to get to to. What more do you want? I love the authenticity and originality of the food. Food this good, at their prices, is a bargain. They also serve great seafood and unique specials if you want to try truly delicious food. I started frequenting Spice I Am years ago when I worked in the city. They have a lunch special for $10.50. After exhausting all the specials I’d try to drag who ever I could with me so we could order more food and try more dishes. Now it’s where I meet my mum for lunch ever few weeks. 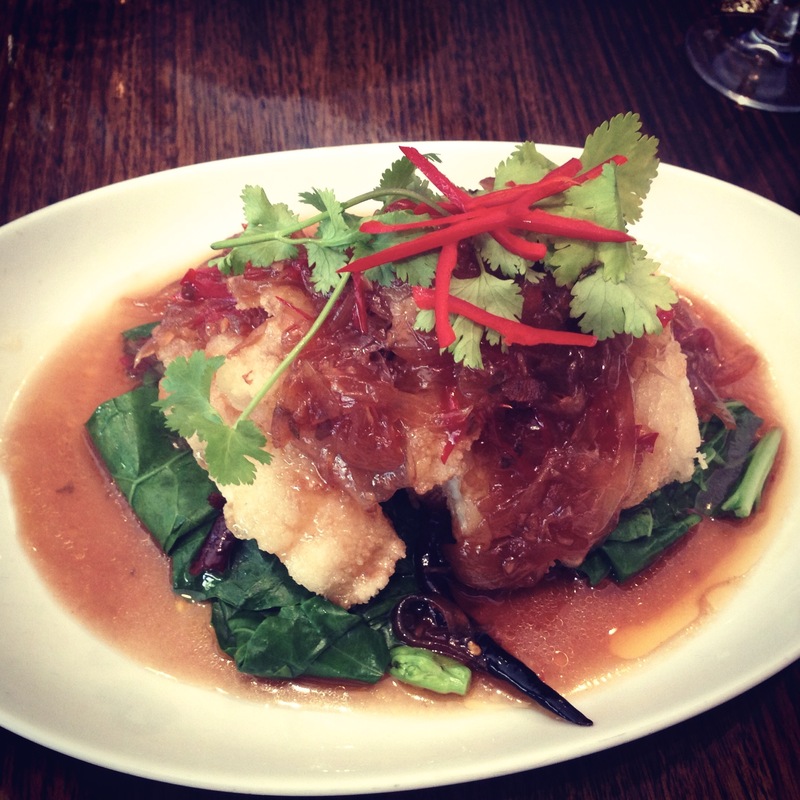 One of my favourite dishes is not even on the menu, is a Tamarind Fish Fillet. 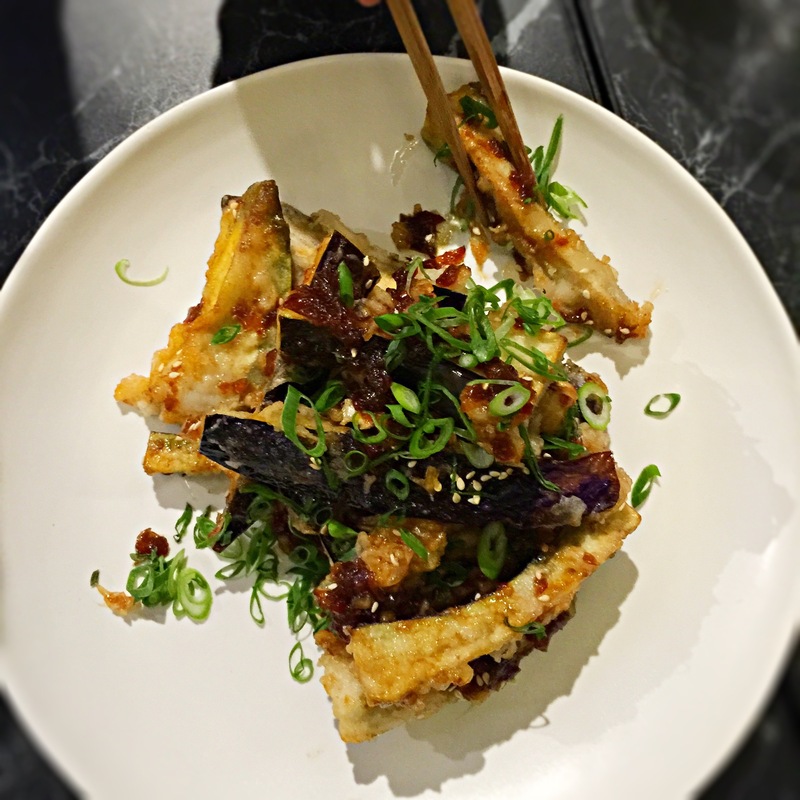 The fish is deep fried in an uber light batter, the sauce and fresh herbs are added and it is served over Asian greens with sweet sticky onions. This joint has a reputation for its Chilly Pork Belly, caramelized cubes of spicy sweet crunchy chewing bites of delight, each chewy morsel in sticky sweet spicy sauce just makes you want another until, they are all gone. 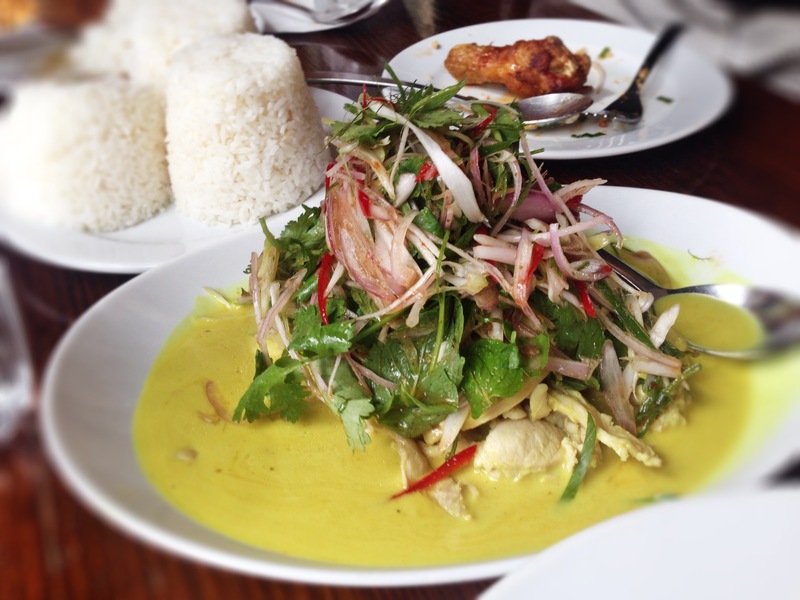 There are many old favourites here , like their Green Chicken Curry. This is what got me hooked to the place. 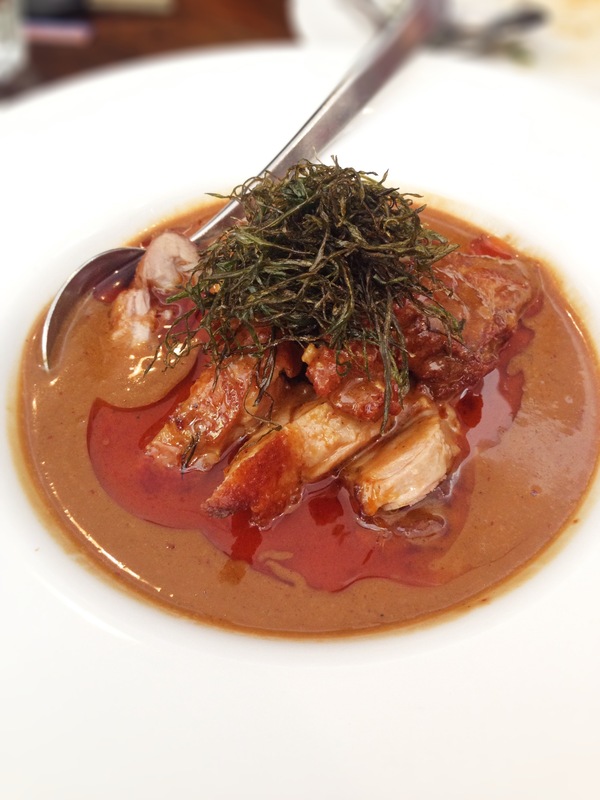 The sauce is rich spicy and creamy but the major draw, for me, is the Thai vegetables and the cube of pork blood jelly. Having those veg in my curry took me staright back to the streets of Bangkok, the blood cube I’ve not seen before, or elsewhere, adds another element and brings balance to the curry sauce. This authenticity makes Spice I Am spectacular in a city filled with Thai restaurants. But don’t get stuck on the old favourites here. combinations. The joy of the salads here is the joining of fresh cooked protein and the fresh salad and herbs. 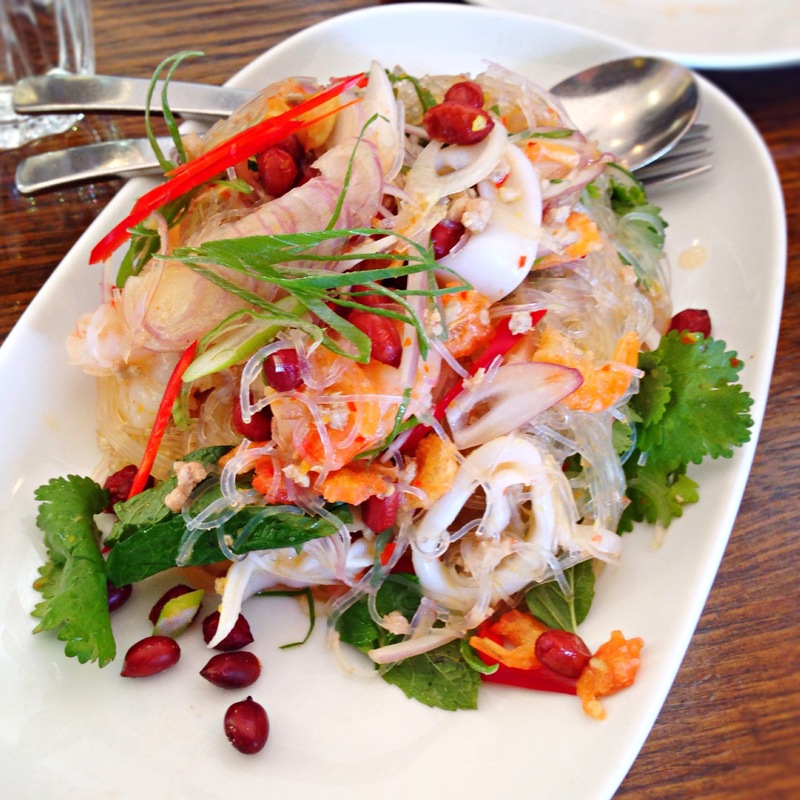 They have a little seafood vermicelli number which has great texture added by dried prawns that are chewy and roasted peanuts for crunch and a salt hit . 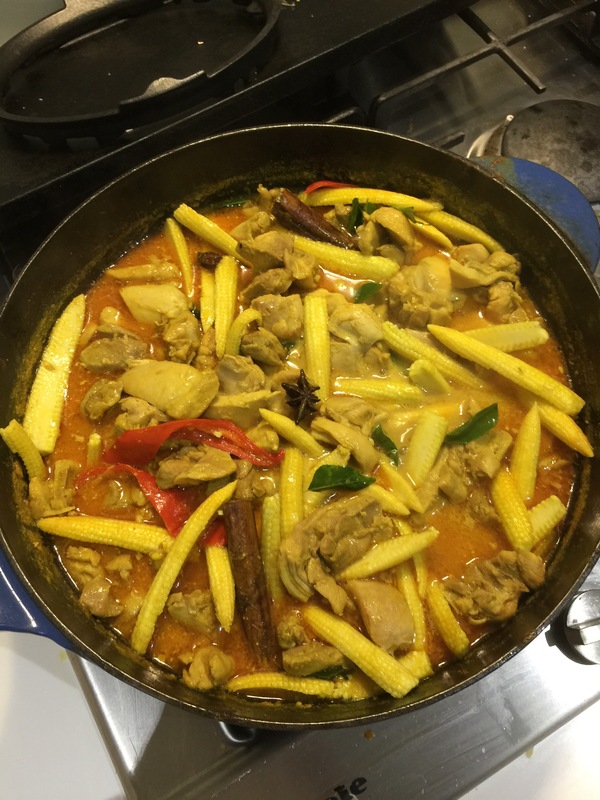 My daughters favourite is their Chicken and Papaya salad with coconut milk. 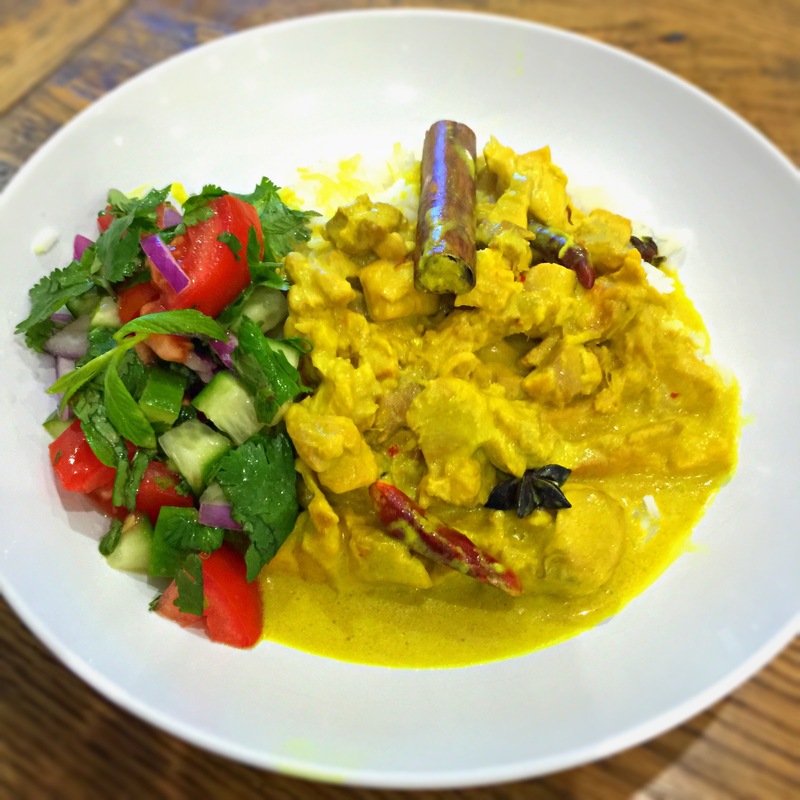 A very generous portion of crisp fruit, tangy fresh herbs and sweet milky coconut chicken. flavor. The salad looks amazing with prawns, banana leaf , nuts and herbs loving each others company as the flavor and texture is sublime. 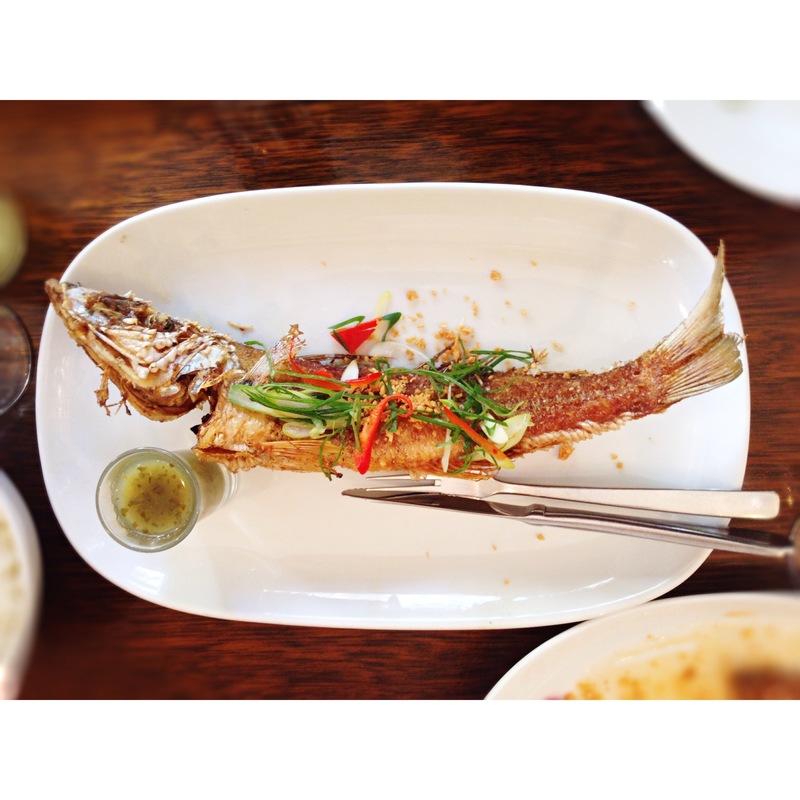 There is also several whole fish options which are great to share. 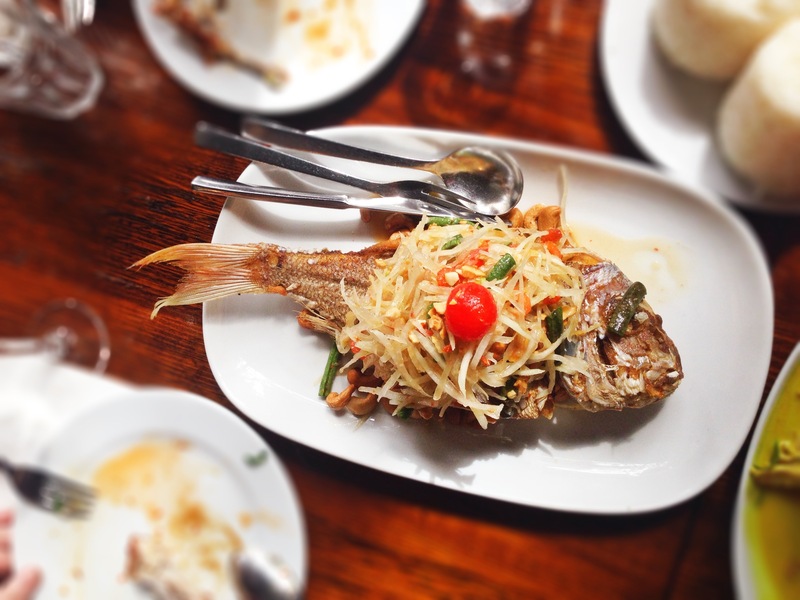 Although I have not been to Thailand in some time the fresh intensity and flavor of the food reminds me of the food there. 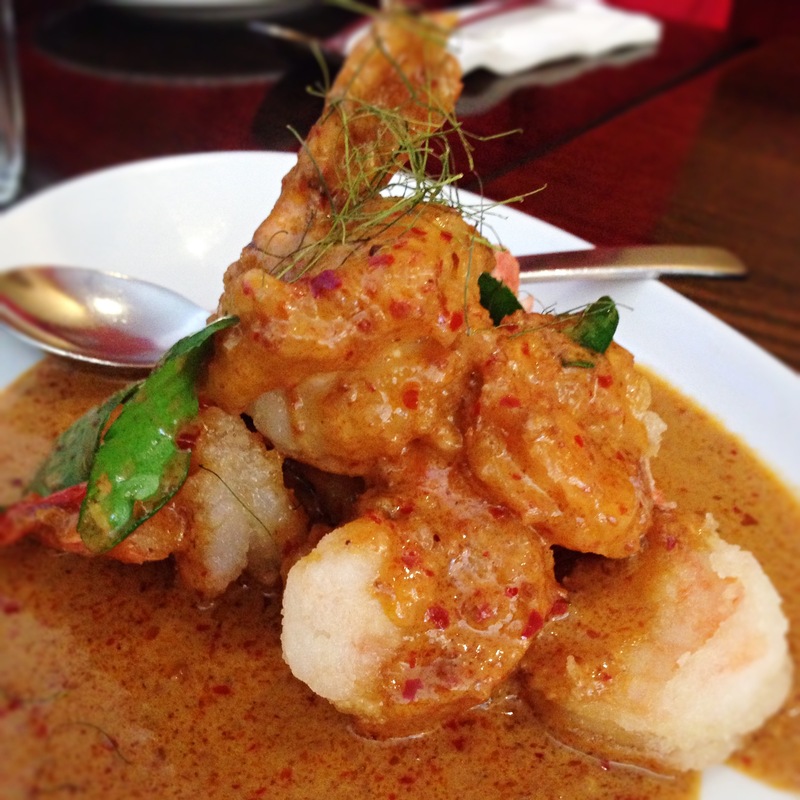 Spice I Am’s ingredients are true Thai ingredients and will not be found in 95% of Thai restaurants in Australia. 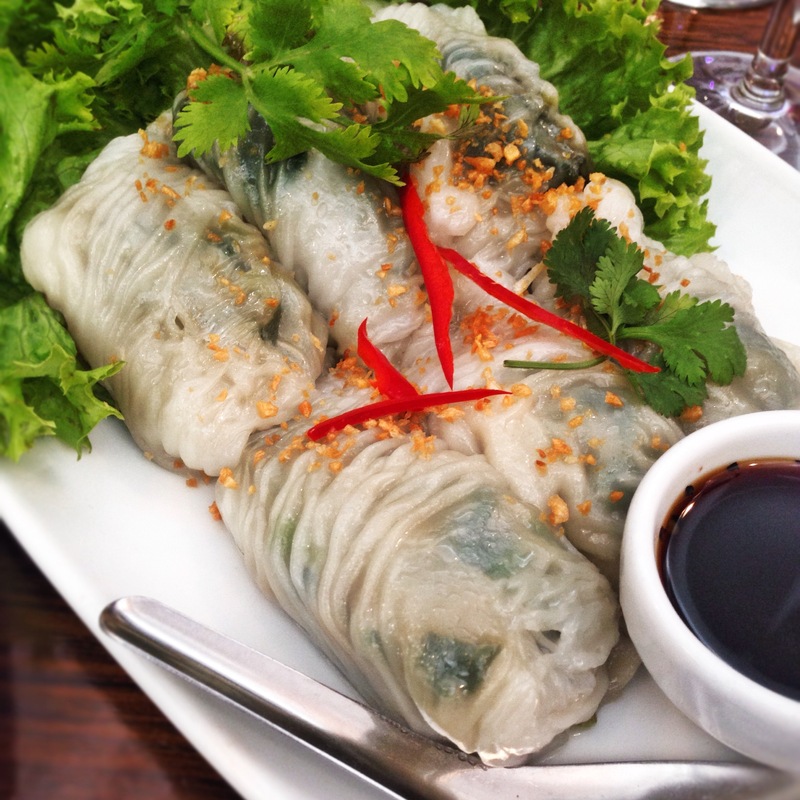 If you are not after the lunch special from 12 -2, take a bottle of wine ( BYO only, bottle shop over the road ) , read the menu thoroughly and have your own mini Thai experience here in the streets of Sydney. End Note. 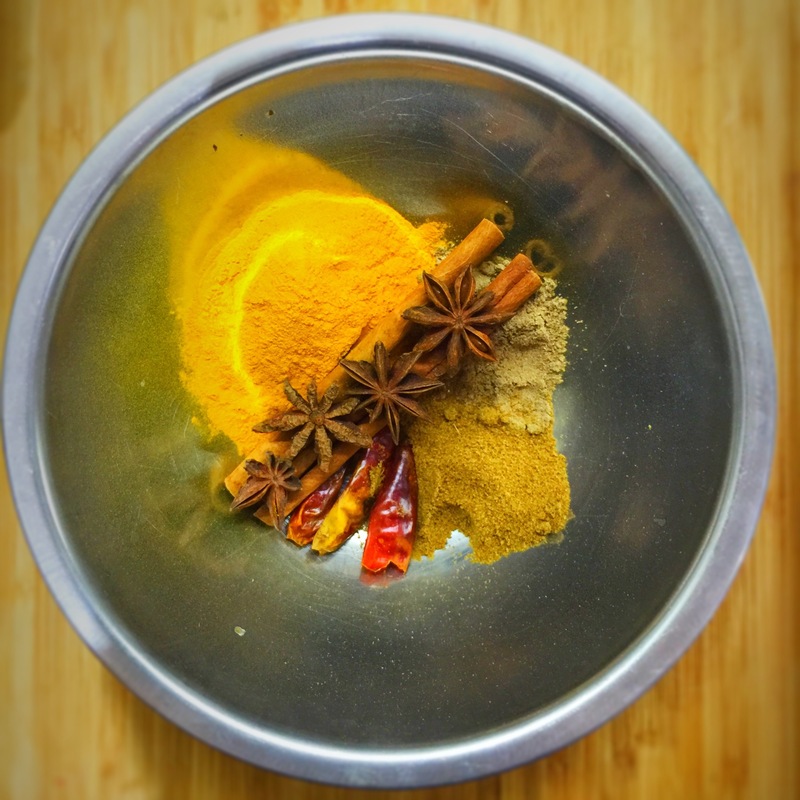 There are now three Spice I Am’s, check website. 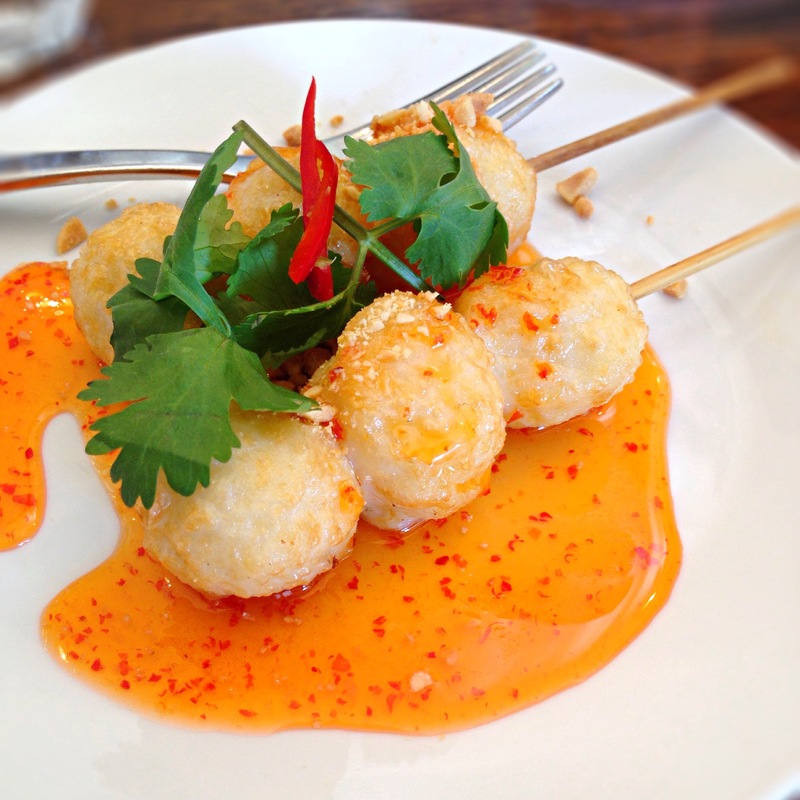 They also have House and Surry Hills Eating House restaurants in the Triple Ace Bar. TIP: not much dessert here but their other restaurant House 50 meters away in the Triple Ace Bar has exceptional desserts.